Confession. Once I shared the girls' room, I realized it didn't feel right. This blog is called Pretty Real for a reason, so here's me keepin it real. I used to be all about color. My first kitchen was lime green. At the same time, I had an aqua bathroom and a bright red guest room. There's nothing wrong with bright colors, but there's a right way to do color and that ain't it. 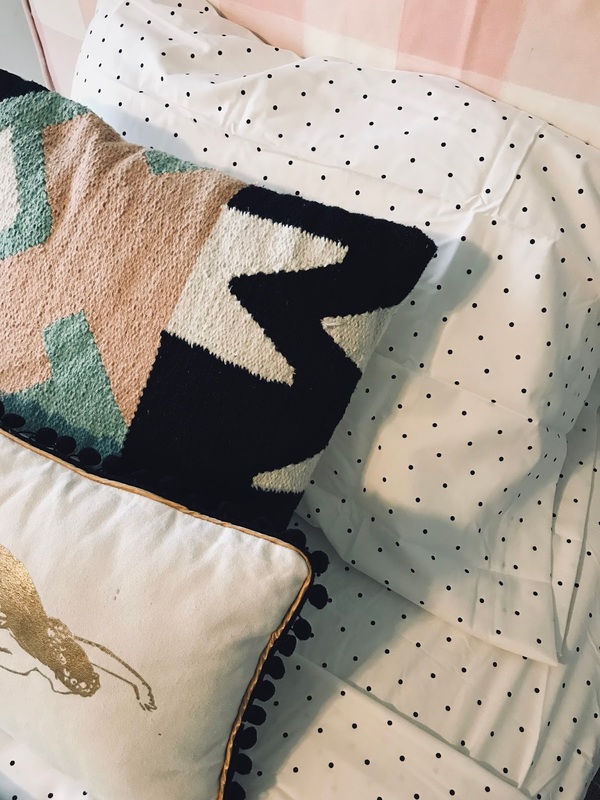 When we moved into our current home, I avoided large doses of bold color. 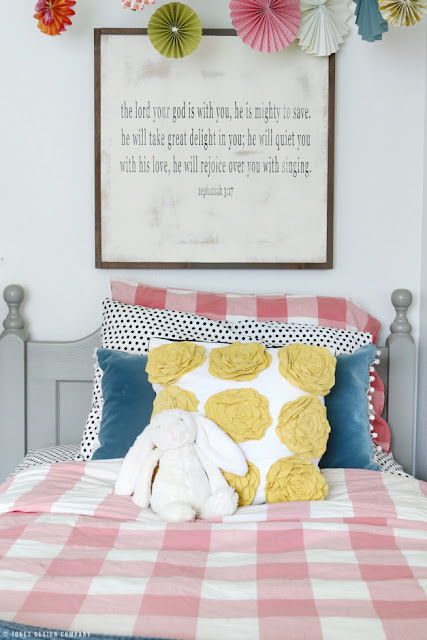 I kept our home neutral but all of my color love spilled out into the girls' room. Oops. Their room also wasn't functioning well. There was too much stuff in the space and although it's a decent sized room, it felt overwhelming and cluttered. I've been listening to the Chris Loves Julia podcast and it has encouraged me in many ways, but the top 2: 1. Don't be afraid to scrap what you've done and start over if it doesn't feel right. and 2. Sometimes the cheapest "change" you need, is simply to rearrange the furniture. So here's how I fixed it. 1. Take it all out! First, I perused my kid rooms Pinterest board to see how other shared rooms were set up. 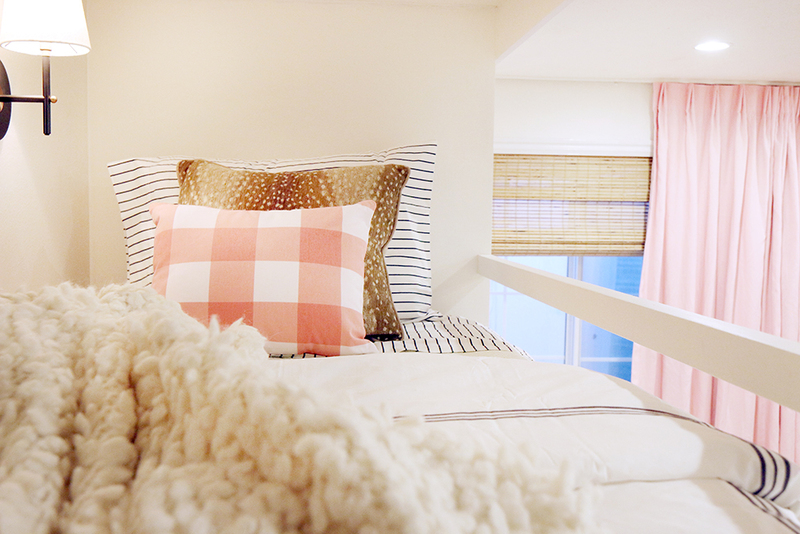 9 times out of 10, the twin beds were close together separated by a simple nightstand. So I eliminated the vanity, which they never used as I'd imagined anyway; it simply became a landing place for stuff. I also got rid of their nightstands. I removed almost everything in the space to figure out what it really needs. 2. Research (use others' expertise)! As for all the color, I searched "pink buffalo check" on Pinterest to get ideas for what people paired it with. The headboards were a super time consuming DIY and belonged to Joe's dad and uncle when they were kiddos, so while I might swap them out eventually, I'm not ready emotionally or financially to do it now. Laugh face emoji at how serious I'm making this sound. But you get it! I'd pinned Chris and Julia's daughters' room and LOVED the pattern play. 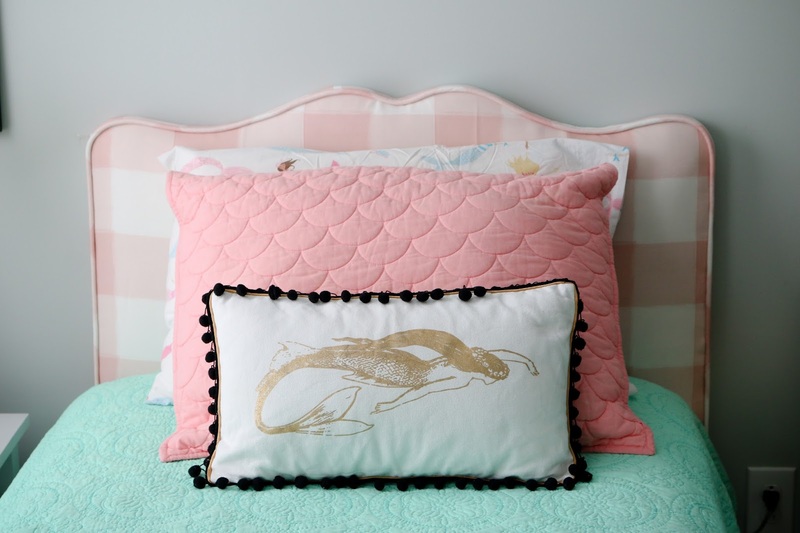 I also loved Emily's daughter's duvet paired with black and white dots, via Jones Design Company. 3. Make one small change. While I can't repaint, take everything off of the walls, and completely start over (and it's truly not necessary to do so! ), I made one minor purchase to begin to course correct. 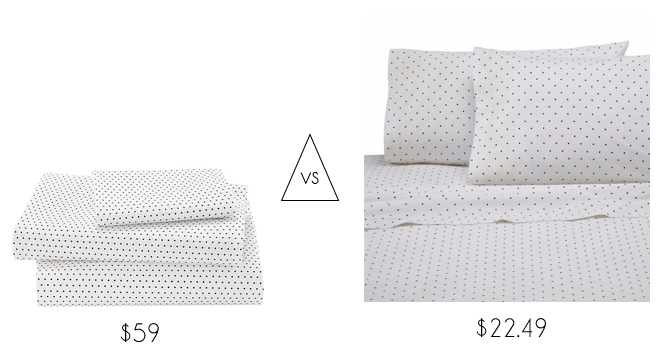 Since the striped sheets were sold out in twin, I searched for the dots. Land of Nod had them but I can't spend $120 on sheets, nor do I want to with messy girls who sneak markers and paint into their room when I'm not looking. I was so excited to find a look for less version that I could purchase then and there (and bonus for having an unused JCP gift card in my wallet!). Crate & Kids organic swiss dot sheet. $59. This isn't the best photo (just an iphone shot I shared in my insta stories) but it's so much brighter and cleaner than their pink or coral sheets. I love them and so do the girls. And by removing much of their furniture/toys, already it feels much calmer in the space! I love that I can course correct by spending less than $50 (and they needed a new set of sheets anyway!). Have you had to course correct recently?